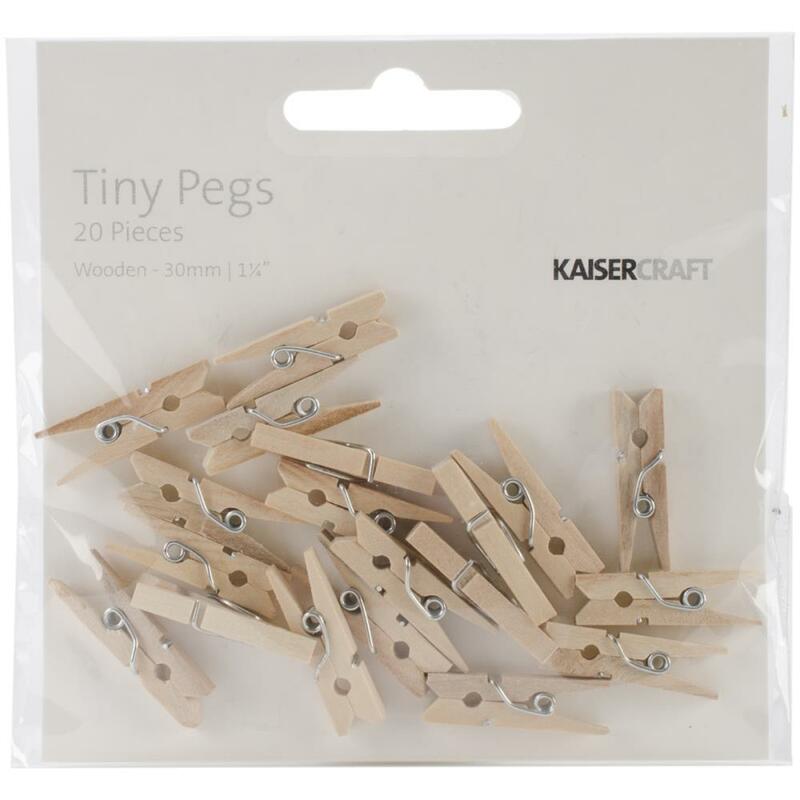 Kaisercraft-Tiny Pegs: Clothes Pins. Give your paper crafts a unique, 3-dimensional look! 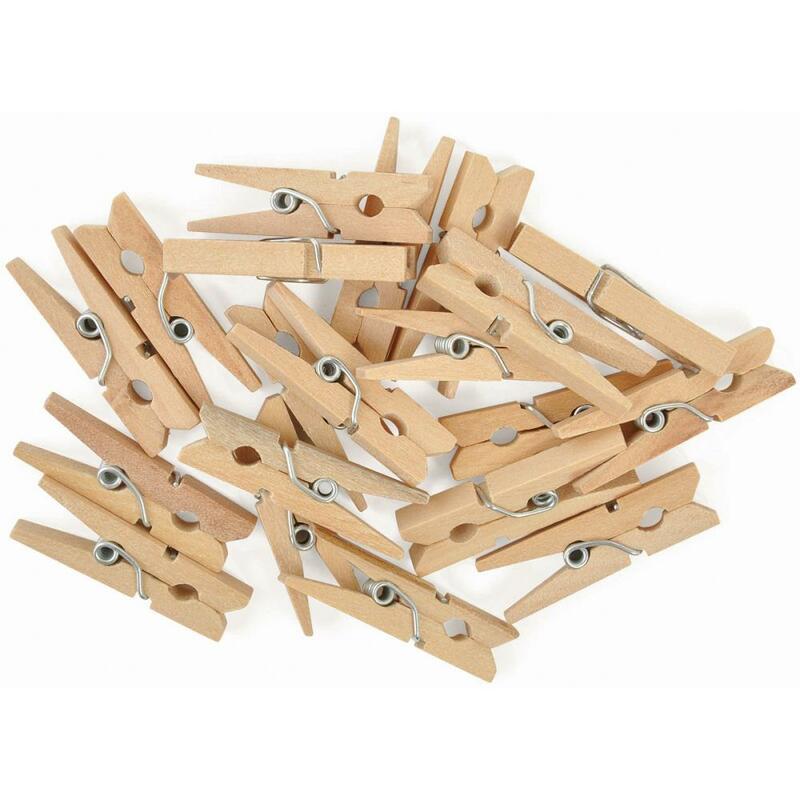 This package contains twenty 1- 1/4x1/4x1/4 inch clothes pins.